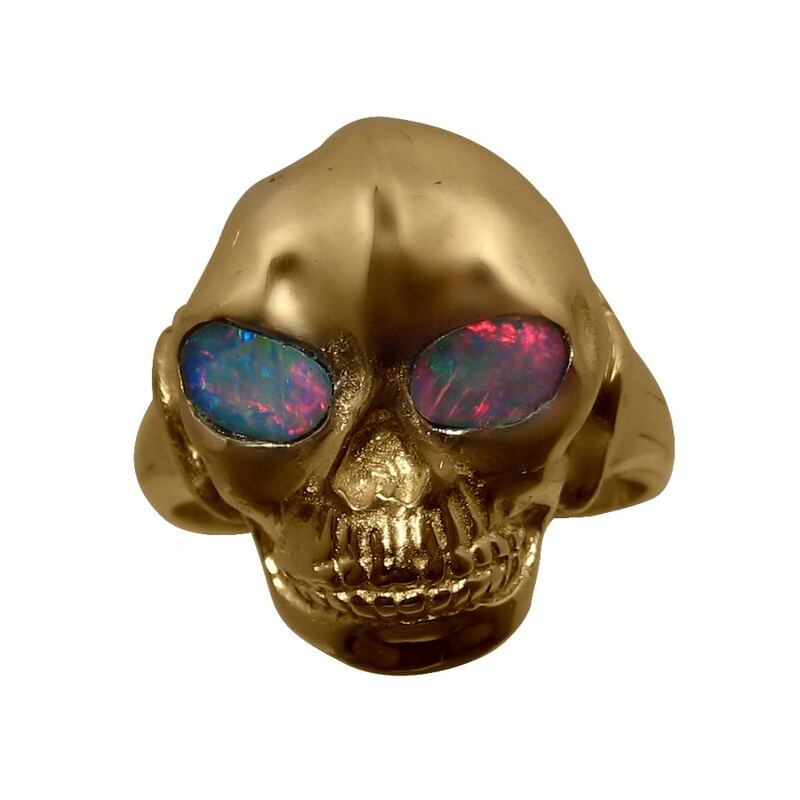 An impressive Opal ring for men - a 14k Yellow Gold skull ring with red Opal eyes. 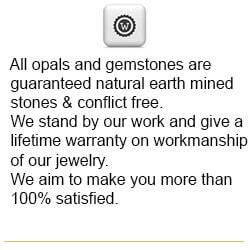 The play of color in the Opals will grab attention to the wearer and anyone who sees the ring on your hand. 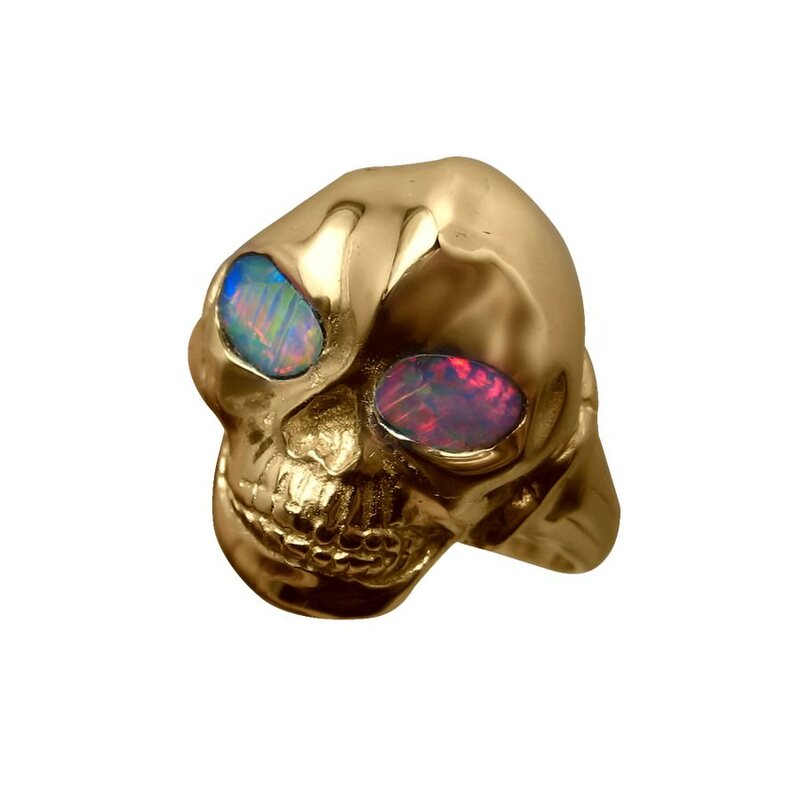 An Opal ring for men who have a love of skull jewelry and want the best quality. 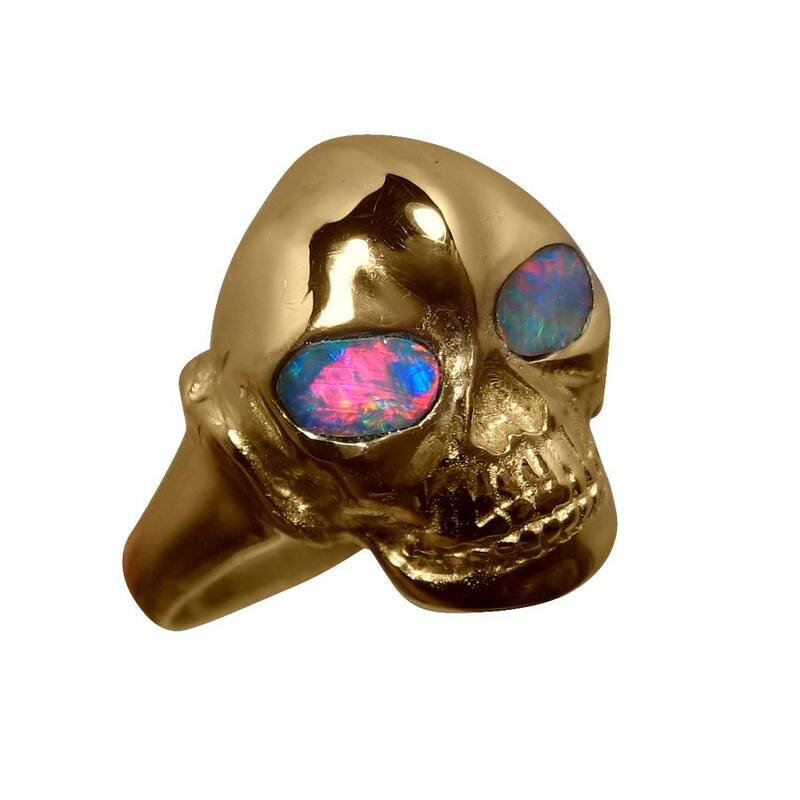 Made in 14k Gold, the ring has eyes inlaid with Lightning Ridge Opals that flash mainly Red in a lively play of color which is very impressive and best viewed in the video below. 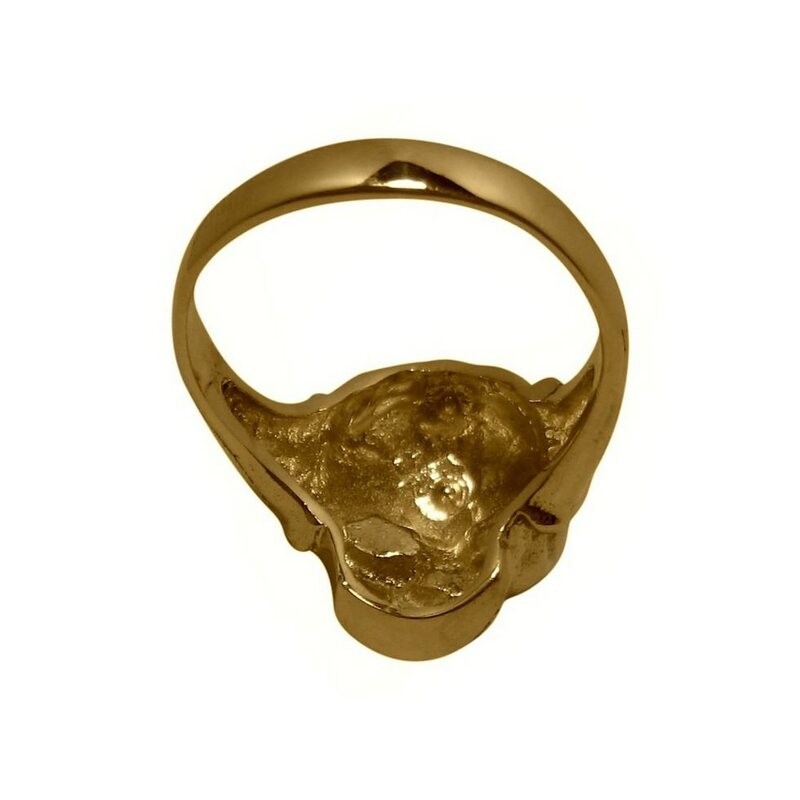 The ring itself weighs just over 10 grams so a substantial ring that will definitely be noticed and grab attention when worn especially with the flash of color with movement. The face of the ring measures almost one inch from north to south and sits just over quarter inch high off the finger - you will know you are wearing it. 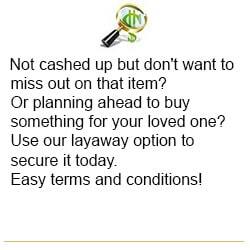 The ring in the images has been sold however you can have one Made to Order in any ring size and choice of Gold color and it will take about one week to make before images are provided for your approval to ship. 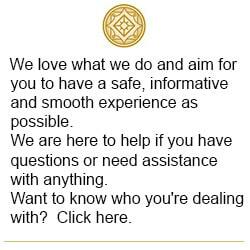 If you would like any changes made to the setting, or would prefer Blue/Green Opals, contact through the ask a question link above for assistance. If you prefer a different style of skull ring or any other design that is different than the norm, we would love to hear from you. Great communication gorgeous jewelry thanks again! Extremely happy with ring. Exactly what I was looking for. 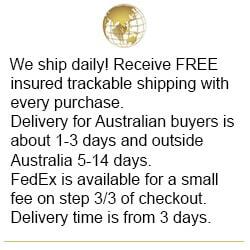 Hey Australia, Wow, what a cool ring. 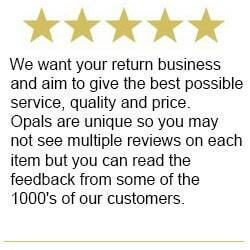 Whoever set these opals did a perfect job. Just beautiful and these stones are really spectacular. I've been running around testing these opals in various light settings. Amazing the color shifts this ring presents. Plainly they emit a full spectrum of color. An almost ethereal effect that draws your vision into the piece itself. In certain light and angles the opals can almost appear as various solid color . I just love the changes. The workmanship is superior all the way around and is a perfect fit. I also like the rings overall size which makes it comfortable and easy to wear. 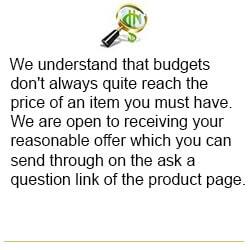 Anyway thanks for a great job and I am sure our paths will cross again with another purchase. Stay cool! !